What does “prophetic” mean in this context? In the biblical and Christian theological traditions, prophecy can involve either the fore-telling of a future otherwise unknown to human beings or the forth-telling of a divine message for a specific place, time, and situation. 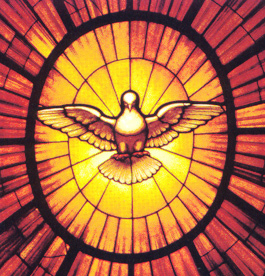 Pentecostals presume both to be achieved under the inspiration of the Holy Spirit. Whereas pentecostal-charismatic prophecy has more often proceeded in ecclesial contexts and thus been between individuals, New Testament texts like the book of Revelation purport to be about an otherwise obscure future. While such apocalyptic passages also existed in the Old Testament or Hebrew Bible, more prominent there is that the prophets of ancient Israel warned kings and governments, questioned existing sociopolitical developments, and advocated for the poor, women, and other oppressed groups, often challenging the status quo. In these senses, pentecostal-charismatic Christians do not hold any monopoly on prophetic engagement with the public square. In some way or other, such has been occurring for the last two thousand years, following in the footsteps, of course, of the Hebrew prophets. How have pentecostals and charismatics fared then amidst and against the backdrop of this rich tradition of prophetic responses to the political? Whereas the first generation or two of modern pentecostal and charismatic instincts were to draw a sharp line between the sacred and the secular and to treat the political as part of the latter domain which was to be avoided, over the last thirty years or so things have been changing. Our emerging post-secular time has witnessed pentecostal believers ascend to some of the highest positions of political leadership around the world. In Guatemala in the 1980s, Zambia in the 1990s, and Nigeria in the 2000s, presidents have been installed in part under the sanction of their own pentecostal or charismatic churches, sometimes on an explicitly theological platform and other times attempting to implement pentecostal or charismatically-inspired ideas. Ideally, such leaders would have been in a prime position to enact policies in the line of the prophets of old or according to the scriptural horizons more generally—although the hotly contested results have not been distinctively pentecostal or charismatic in any sense. What about more clearly countercultural stances and practices by pentecostal-charismatic churches? The pacifist witness of those like the Church of God in Christ (COGIC), for instance, was marked early on by a definitive resistance to the powers of the polis and followed by imprisonment in a few cases. Yet unlike many other pentecostal churches and denominations that have shed their pacifist commitments along the path of upward social mobility and wider cultural acceptance, COGIC has retained this way of life on biblical, theological, and, more importantly, pentecostal grounds regarding the outpouring of the Holy Spirit upon all flesh (Acts 2:17) and the correlative claim that God is no respecter of persons to withhold the Spirit (Acts 10) and that this pertained even to one’s enemies. The point here is not to defend COGIC pacifism (or that of other historic Christian churches) but to observe how this might reflect just one example of a prophetic pentecostal approach to the public square. To be sure, pentecostals and charismatics have collaborated prophetically with evangelicals and other Christians on all kinds of issues and in resistance to various sociopolitical initiatives. Arguably, there are a range of prophetic pentecostal and charismatic postures, stances, and activities that vary depending on the existing political climate. Pentecostals around the globe who embrace pragmatism often do so in order to try and discern how to live out their biblical faith in appropriate and varying ways depending on what their situations entail. In this light, we ought to be alert to observing shades of prophetic pentecostal and charismatic interaction with the public realm going forward.